Fall doesn’t only bring temperate weather and football season—it’s also just plain gorgeous. 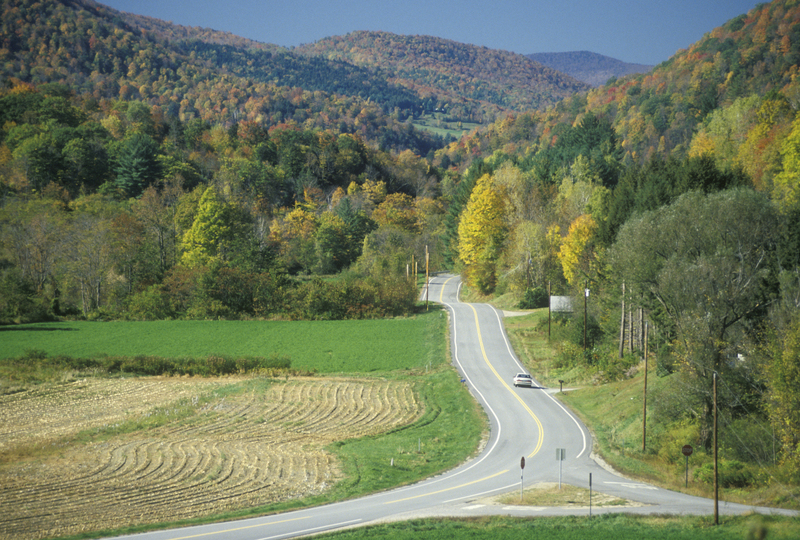 There’s nothing quite like a casual road trip through the fall foliage of the American countryside. But with so many great options for scenic getaways, it can be hard to narrow down your options. Here’s a list of our six favorite fall road trips, including one for each corner of the country. There’s a reason the Blue Ridge Parkway has been the most popular National Park System every year but three since 1946. 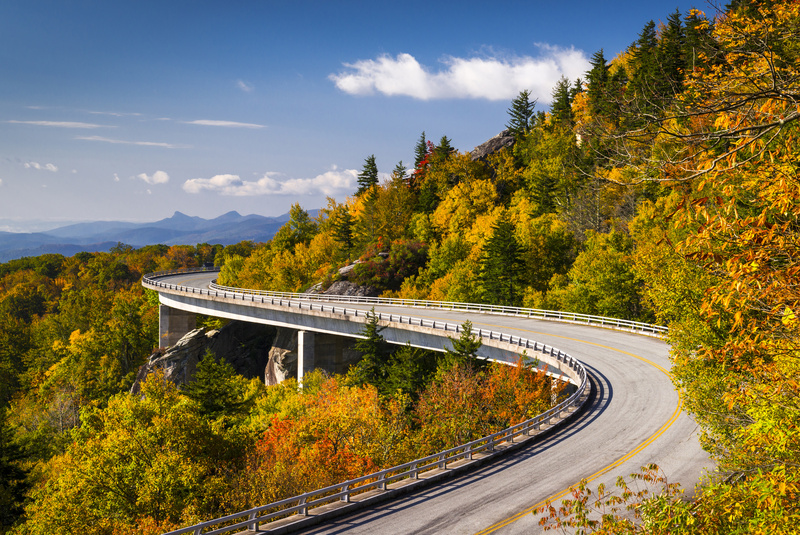 This route stretches nearly 500 miles across North Carolina and Virginia—perfect for spending a few fall days with Mother Nature. With beautiful foliage at every turn, there are plenty of welcome distractions along the trail. The Natural Bridge and Blowing Rock will provide excellent photos ops, and if you’re looking for a bit of culture on your car ride, try the Southern Highland Folk Art Center and the Blue Ridge Music Center. With beautiful views of the Columbia River outside your window and the Pacific Ocean only 20 miles away, the Historic Columbia River Highway is a must-drive if you find peace around the water. 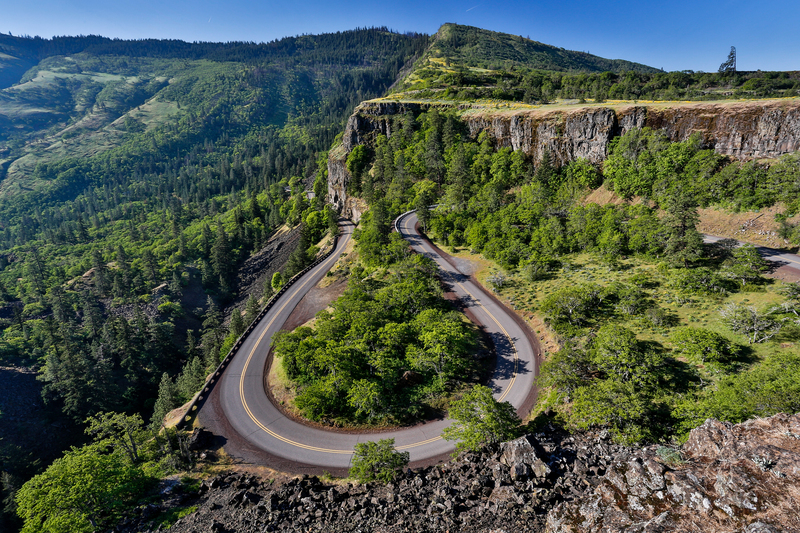 The route only runs 75 miles total between Troutdale and The Dalles, but you’ll find plenty of side trips to fill out your journey, like the 35-mile Fruit Loop that steers you through orchards and vineyards, or the many bed & breakfasts along the way. And if you’re looking for the best views, Vista House at Crown Point is the perfect place to gaze upon Multnomah Falls. Here’s how you know that Vermont’s foliage is legendary: it has its own website. And there’s no better way to experience these fall colors, which were thoroughly profiled last year by Condé Nast, than by driving the 220 miles top to bottom along the Green Mountain Byway. Keep in mind, fall foliage tours and lodging accommodations book up pretty quickly in many small Vermont towns, so plan ahead. And if you’ll be there in late September, make a trip to one of their popular fall festivals like the Vermont Sheep & Wool Festival or the Vermont Wine & Harvest Festival. 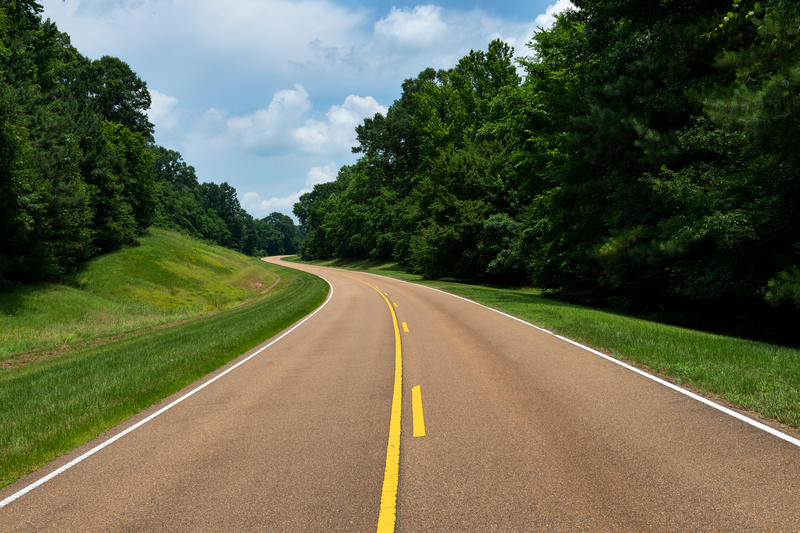 In the heart of the Deep South, starting just west of Nashville proper, you’ll find the beginning of the Natchez Trail Parkway, a lovely and pastoral road that stretches close to 450 miles down to Natchez, Mississippi along the Louisiana border. There’s plenty to see and do along the way, including Emerald Mound, Cypress Swamp, the Mississippi Craft Center in Ridgeland, and a handful of historical Civil War sites. And if you’re visiting in October, of course you have to pay tribute to the “ghost town” of Rocky Springs that thrived more than a century ago. Before the Upper Peninsula of Michigan enters into a wintry haze, the state is full of beautiful fall colors—especially along the coasts. 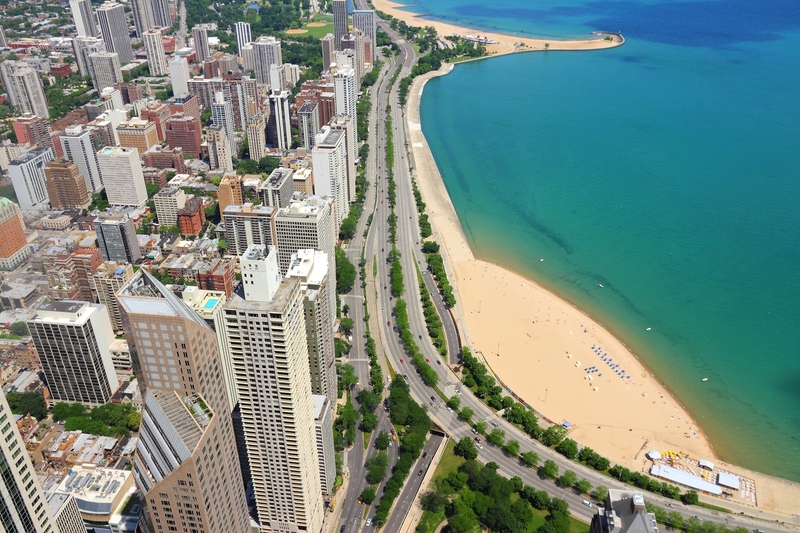 And Michigan’s Gold Coast, a gorgeous 300-mile stretch of fishing towns and coastal havens, was ranked Lonely Planet’s top U.S. travel destination in 2014. There’s almost too much to do along the Gold Coast, with its numerous wineries, orchards, beaches, dunes, and charming small towns. (Or, if you prefer a bigger city, explore Grand Rapids.) But you can’t leave without trekking to some of the islands, such as Beaver Island or the Manitou Islands. If you think the Western U.S. is nothing but deserts and cacti, think again. There’s plenty of bewitching fall foliage to discover in the latter part of autumn, especially along the aptly named Enchanted Circle Scenic Byway. 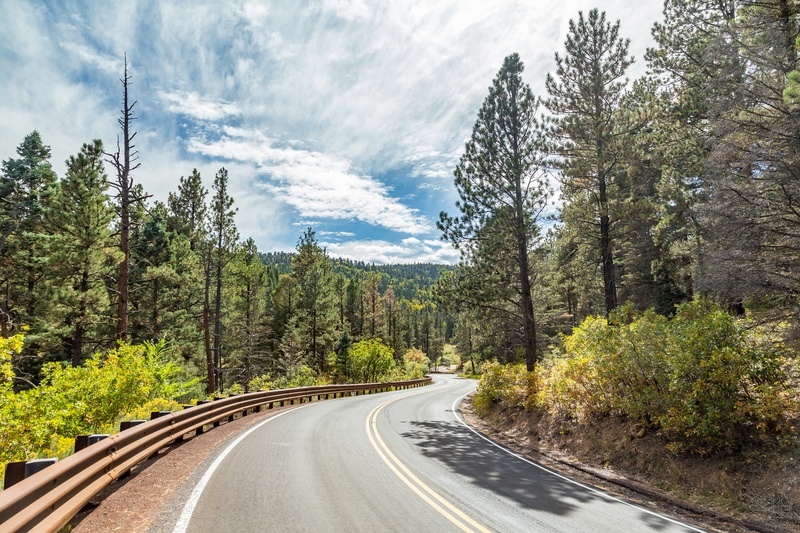 Nestled around the outskirts of Taos (where the loop starts and ends), this 83-mile highway offers beautiful landscapes to explore. Park the car and hike along the Sangre de Cristo Mountains, take a boat out onto Eagle Nest Lake, or relax along the Red River. And if you visit in late September, the Taos Fall Arts Festival is not to be missed.